What are your rates? Cost varies depending on the situation. Please fill out an inquiry form for an accurate quote. What type of harp do you play? Katie spends most of her time playing on her pedal harps: Magnolia and Heather! Magnolia came with her name and started a trend. She’s a gold Lyon and Healy semi-grand pedal harp built in 1914. 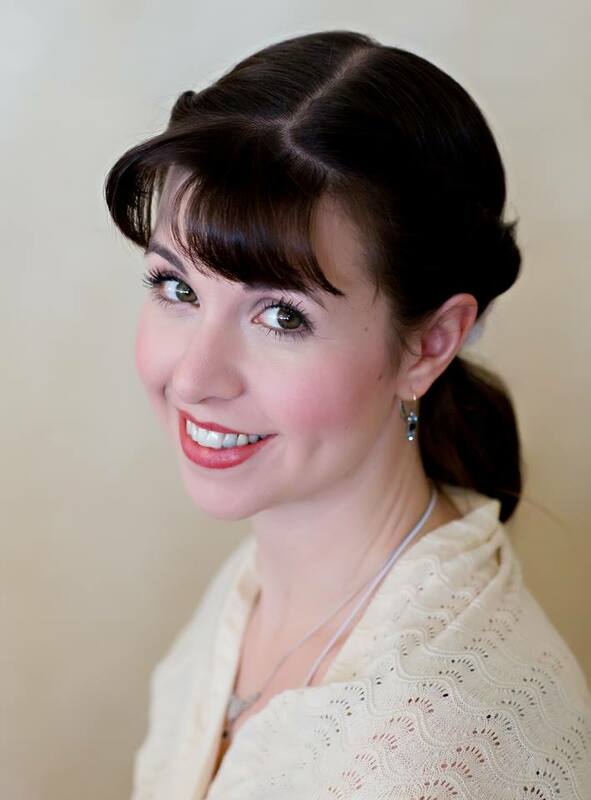 Katie is the second owner, the first being Helen Rogers, harpist for Rodgers and Hammerstein. 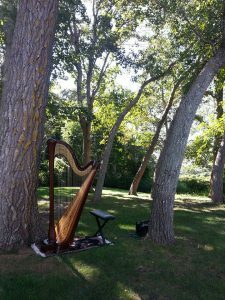 Katie does not use this harp for outside performances, but will always play her for a Rodgers and Hammerstein show. Heather is a 2007 concert Venus Premier built for the working musician. Katie’s added a pick-up and can bring her amp if it’s desired. Some pictures shown on this site are of Katie and Athena, a 1997 concert grand Venus Diplomat which she played for nine wonderful years. Lily, Faith and Sheila are Katie’s folk harps. Lily is a 2004 Blevins Seraphim, a lever harp, and is used mostly for teaching. Faith was found at an antique store, but proved to be a newer Paraguayan kit harp with a double neck. Sheila is a travel harp built by Katie’s father in 2001. This harp is made without a sound box so not to disturb other travelers. Can the harp be played outside? Yes, but she cannot play on the beach. It would ruin the instrument. Please be aware that the sun, humidity and extreme temperatures are detrimental to the instrument, and dealing with wind, sun, bugs, and uneven ground are also challenges when playing outside. (The harp cannot be played in the rain; please have a back up plan.) Katie does not play outside November through April. Can you play and sing at the same time? Yes. Do you need anything from us? All I would need is electricity if you request an amp. If you request additional musicians (ie flute), they will need a chair. I come with my instrument, stand, stool, rug, light and amp if necessary. Can you move the harp upstairs? Yes, but an elevator is extremely helpful! How often do you tune a harp? Every time you play it, and yes, I tune it myself. When do you arrive? I arrive one hour before an event to set-up and tune. What do you wear? I usually wear a gown. I try to match the colors of a wedding or wear formal black. Katie was amazing. She is incredibly talented and professional. We were so impressed especially with her attention to detail. We are thrilled she played during our ceremony.